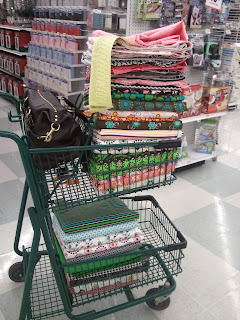 My cart was overflowing with fabric before it was measured. Yep, no cutting! I took every last inch on every bolt I had in my cart. I had so many people stop me and ask what I was doing with "all that fabric"
for their next sewing class!